Las Cruces’s liberals sure are consistent. They press forward with their agenda of unlimited government, regardless of results. 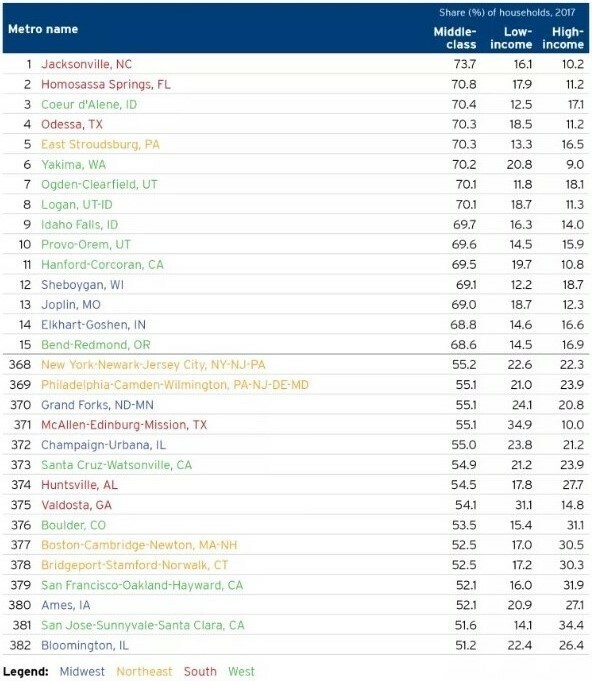 The latest figures indicating that the City of the Crosses is the Sick Man of New Mexico arrive via the left-leaning Brookings Institution, which has released a look at “variation in the size of the middle class” in the nation’s 382 metropolitan statistical areas. Researcher Alan Berube analyzed urbanized America’s middle class — defined as “the middle three quintiles of the national income distribution” — adjusted for the Bureau of Economic Analysis’s regional price parities and average household size. The 15 top and 15 bottom metros are depicted in the table above. Notably, 10 of the stars are found in right-to-work states — and 10 of the laggards are in compulsory-unionism states. Closer to home, when it comes to broadening the middle class, New Mexico’s MSAs do a rather poor job. None lands near the top, nationally. 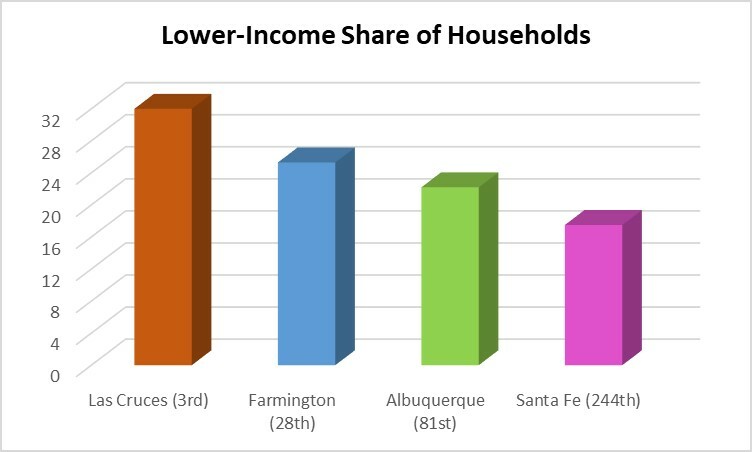 At 65.1 percent, Farmington’s middle class enjoys the largest share, followed by households in Santa Fe (63.0 percent) and Albuquerque (62.2 percent). Las Cruces is fourth among the four, with just 56.9 percent found in the middle class. That puts it within striking distance of America’s rock bottom. An “economy that works for everyone”? Clearly, Big Government policies in New Mexico generally — and Las Cruces specifically — are not getting the job done.